Are you walking to get fit and lose weight but not shedding the pounds? Experiencing shin splints, lower back pain, tight calf muscles making your walk a chore? 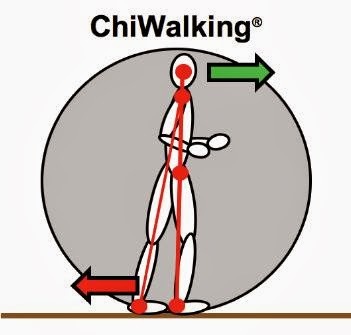 As a Certified ChiWalking® Instructor I will teach you a proven walking technique that will help you lose weight and make your walks so much more enjoyable. Around 1998 I started walking to keep fit and lose weight as I was tired of exercise classes but all I got in return for my effort was shin splints, tight calves and I didn't lose a pound to my astonishment! So I began running which indicates the level of pain I was in walking. But when I learnt the chi walking technique and became a Certified Instructor I was practicing my walking again and wow was I blown away by how easy it was, no shin splints, no tighteness in the calves and I started losing weight quite dramatically. In less than a four month period (over Christmas I might add) I dropped two sizes, impressive! Chi Walking® Certified Instructor Ruth Farrell is based in Cork Ireland and is teaching this revolutionary walking technique since 2010 which blends walking with the internal focuses of T'ai Chi to improve balance, strength and awareness, and through moderate exercise has increased the health and longevity of thousands. Chi is pronounced 'chee' meaning energy or life force. Clients have come to me with balance issues, knee problems, tight calf muscles, shin splints and sore lower back problems to name a few and following the chi walking sessions and practice, these problems have reduced or gone away. Others have come to me with weight problems and I teach them the FIT WALK using the chi technique as it's a great way to lose weight, keep fit and healthy. As part of the workshop I practice the fitness walk with the group, working up from a warm up pace of 120 spm to a good cardio workout level of 150 spm which is the cadence level of a slow jogger. Clients notice an immediate ease of walking and a reduction in their walking time along with the benefit of losing weight and toning up. Individual Video Analysis & Feedback. You will learn to walk with your feet below and behind your body mass ensuring your legs and ankles are completely relaxed. You will use your upper body as much as your lower body giving a holistic and all body workout. At the beginning of the workshop I video each person walking their regular way followed by a video analysis identifying particular areas of concern for each individual. Following this participants learn the chi technique indoors during which they do a number of drills and exercises. To end the workshop we go out and walk around a 1 mile circuit, all the time body sensing the technique on the flat, inclines and downward hills. What to wear - track suit and regular runners (no MBTs), bring along a rain jacket and hat for wet days. Bring along a snack as you get hungry and we break for a quick cuppa during the session. To find out dates for these workshops please click here. Book early as there are a maximum of 10 people on any workshop to ensure individual attention in a group scenario. Many chiwalkers feel confident in progressing to jogging and having learnt the alignment, posture and armswing which makes it very easy to progress to chirunning® where you learn the ankle lift, gears & stride and cadence for runners. "Really enjoyed the session, you've a great sense of humour which is important when training, great workshop that I would recommend to others" Sheila O'Donnell, Cork. "I felt everything was covered very well and really enoyable. Great to have notes to take home too". Helen Irwin, Cork.